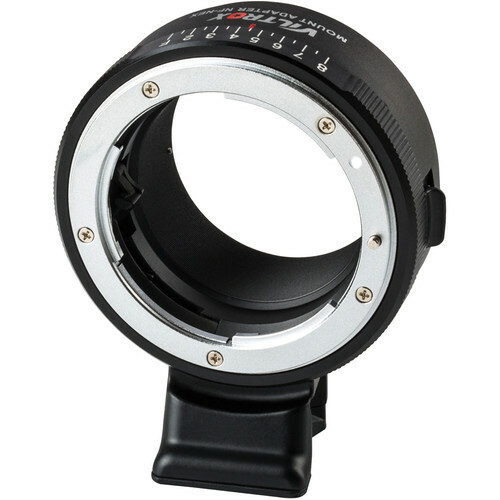 This Lens Mount Adapter from Viltrox is designed to allow a Nikon F-mount, D or G-type lens to be used with a Sony E-mount camera. It supports manual focusing as well as eight stops of aperture control. The underside of its tripod foot is tapped with a 1/4"-20 accessory thread, providing for direct attachment to a tripod or quick release plate that features a 1/4"-20 mount.